Receiving a Parkinson’s disease diagnosis can be a jarring and distressing experience. The flood of thoughts and emotions can make it difficult to know what to do next. An important thing to realize is this: you are not alone. For the month of January, we will be talking about diagnosis experiences, and the ways to manage and cope with a Parkinson’s diagnosis. With plenty of ways to interact, we want to hear from you about your diagnosis journey. What was your immediate reaction upon receiving your PD diagnosis? A diagnosis of PD can send a shock wave of different emotions to the person receiving it. What advice would you give to someone who has been newly diagnosed? Let’s talk about it here. Getting diagnosed with Parkinson’s disease undoubtedly changes one’s life. 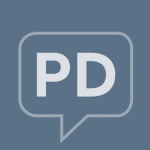 How has PD shaped your life? We have plenty of ways to get in touch with others and share experiences about your diagnosis journey. Join us in our discussion all month long!